How to put your World Cup fever into play today — even if you’ve never kicked a ball before. It's called "the beautiful game". Soccer demands and calls forth grace and athleticism in its players, and unity in its teams. Play flows constantly over the course of game, with far fewer interruptions than sports like American football or baseball. More than nearly any sport, soccer inspires a kind of religious-aesthetic response in its fans, and musicians in particular have been drawn to the game. Composer Dimitri Dimitri Shostakovich called it "the ballet of the masses" and both Rod Stewart and Luciano Pavarotti chose careers in music second, after soccer. It's also by far the most popular sport on the planet, and still growing. Approximately 265 million people in the world play soccer, mostly at a grassroots, community level. This is still dwarfed by its fanbase: over 3 billion people tuned in to the last World Cup tournament in 2014. Can half of humans be wrong? Unlike some sports which are concentrated in a few countries, soccer's reach is truly global. It is the most popular sport in the vast majority of countries, and FIFA (the international governing body of the sport) now has 211 national associations as members. Compare this to the mere 193 member states of the United Nations. We're not saying you're wrong if you don't like soccer, it's just that nearly everyone disagrees with you. If you do like soccer, though, its universality is a huge advantage. On vacation in the south of Spain? You'll find a pick-up game on the beach. Hanging out in an Cairo café during the World Cup? Chances are the tournament will be playing on TV to an enthusiastic audience. Try explaining who the Winnipeg Jets are anywhere outside of Canada, and you will understand why this is an advantage. Ancient versions of the game seem to have sprung up everywhere. Ancient Greeks and Romans may have played some version of the game and the Han dynasty in China (206BC-220AD) had already standardized rules for cuju, a game whose object was to kick a ball into a net. The modern form of the game, appropriately enough, originated in a London pub. Some form of football had been played in England since at least the eighth century, but the rules varied across the country. In 1863, lan English sportsman named Ebenezer Cobb Morley gathered representatives of different football traditions in the Freemason's Tavern in London to hammer out a standardized set of rules known as the Laws of the Game. Here, they founded the Football Association, which was the first governing body of the sport. It's also where the game got the name "soccer", which is short for "Association football". The negotiations were not easy. "Football" had several different versions, some of which allowed carrying the ball with your hands and a high degree of violent contact between players. In fact, the rules which disallowed ball carrying and hacking, tripping, or holding your opponents proved controversial, causing several representatives to drop out of the association. This faction went on to form the Rugby Football Union a few years later. The game spread quickly. In 1906, FIFA (Fédération Internationale de Football Association) was founded in 1906 to oversee competition between European countries, and has since expanded to cover the globe. Soccer became an Olympic sport in 1900 and the first World Cup was held in 1930. While details have changed, nearly the entire earth plays by the rules established in the Freemason's Tavern. As legendary German coach Sepp Herberger put it: "The ball is round, the game lasts 90 minutes, everything else is pure theory." At its essence, soccer is beautifully simple. To begin, all you need to know is this: put the ball in the other team's net, and don't use your hands. The pure theory part can be complex. At the higher levels, it is important to understand a trove of rules, the roles of different players, as well as tactics and strategies. But all of that, you can learn as you go. 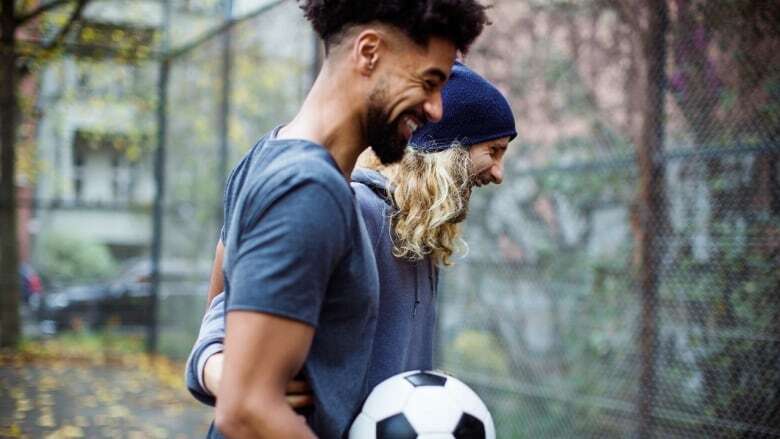 If you feel like knowing a little more before you get started, check out the Complete Soccer Guide's summary of the rules and positions here. Shorts and shirt: This is pretty flexible. Choose clothes that you are comfortable in and in which you can move easily. Footwear: The kind of footwear you need will depend on the surface you are playing on. It's safest to go for shoes with short rubber cleats as metal cleats are not allowed on many surfaces. Cleats help you grip the ground during the sudden stops starts and direction changes of soccer. For a basic pick up game, you can do with pretty much any athletic shoe you are comfortable it. Shin guards and socks: Although soccer is not a collision sport, like hockey or American football, it is still a contact sport, and a lot of that contact is between feet and shins. Shin guards help protect you from blows to this area. Soccer socks are long enough to cover them in a stylish way. Ball: This is the one absolutely necessary piece of equipment required for soccer. Balls come in different sizes and qualities, from premium match balls meeting FIFA's official standards, to those designed for indoor play, beach play (easier on bare feet), or street play (built to endure contact with hard surfaces), to homemade balls of plastic bags and string. As a general guideline, regulation size footballs are 22 cm in diameter and weigh around a pound. They are inflated to 9-16 psi. However, feel free to improvise. If you can kick it, you can play soccer with it. Other players: Official association football is played with eleven players on each side. However, there are also leagues for variations with as few as three players per side, with five-a-side being the most common. This means that you should just find as many friends as you can, and you'll be able to improvise some version of soccer. The official size of a soccer goal is eight yards wide and eight feet tall. However, you can improvise goals by putting down cones or jackets on the field and aiming to score between them. Generally, the fewer the players, the smaller the goal. Also, often pick-up games will just make the goal relatively small and play with no goalkeepers. A field of play: The field of play in soccer is rectangular with boundaries on the sides and at both ends. For international matches, the field is between 100m and 110m long and 64-75m wide, and is covered in astroturf or grass. However, if you are not playing an official international game, this can be highly variable. As a general rule of thumb, the fewer players you have, the smaller the surface should be. You can play on anything surface that is flat and you can run on, from grass to pavement to a sandy beach. Soccer's barriers to entry are very low. You need to be able to run and kick and resist picking up the ball with your hands. Therefore, the best thing to do to start is to start. There are three main ways to do this: look out for pick-up games in local parks, join a league, and get your friends to play with you. Running: soccer is a game with a lot of stops and starts. Therefore, long jogs can help you obtain a base level of cardiovascular fitness, but it's more important to do interval training at all speeds and in changing directions. To train for soccer you should practice sprinting, jogging, running sideways and backwards. You need to be able to move in all directions at all speeds, and your training should reflect that. Kicking: controlling a ball with your feet is not intuitive, and thus takes a lot of practice to do with power and accuracy. Practice passing a ball around with friends, or you can practice solo against a wall, using a rebound net, or a purpose made elastic band that attaches to a practice ball. Ball handling: this includes dribbling (carrying the ball); trapping (receiving a pass); and passing (with inside and outside of foot). There are a million drills to improve ball handling but this complete soccer guide for kids provides an easy start. Pass with the inside of your foot: for beginners it's intuitive to kick with the toes or the top of the foot. However, you can get more control by kicking with the inside of the foot. Therefore, practice some short passes while focusing on keeping the inside of your foot facing the target. Remember soccer is a team game: Learn the different positions in soccer. When kids start playing, they usually all chase the ball around in a mob. Soccer works much better when players are spread out and each knows their role. Therefore, learn the different positions and how to work together as a unit. When trying to get around another player, cut hard and cut often. Rapid direction changes can put your opponent off balance and allow you to get around them better than a headlong charge. When shooting, keep your eye on the ball and don't look up until you finish your follow through. When defending, don't stand square to the attacking player. Stand at a 45 degree angle and try to push them to the outside rather than let them move closer to the centre.